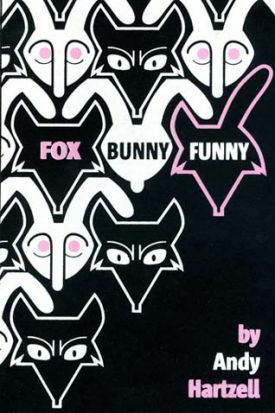 Tag "Fox Bunny Funny, Top Shelf"
Fox Bunny Funny goes to show what can be accomplished by one of the big three independent comics publishers. It is a prime example of just one of the great works coming from Top Shelf. This book was considered one of the best mini-comics of 2006 and only a year later it was published by Top Shelf and received a glowing review recently in The New York Times Book Review. The story of Fox Bunny Funny is something of an Orwellian fable involving a master society of foxes and a slave society of rabbits. How the two societies deal with each other and the one fox who early on dreams of a change and what happens to him is the basic plot. There are no words and the action moves at a somewhat animated pace. Giving this an added dimension is the art which plays with the similarties and differences of the two societies with design and with black and white. Foxes and bunnies do look like they could be compatible, at least in cartoons. One idealistic fox believes in the bunnies and even wishes he were a bunny to the extent of secretly dancing around in a bunny outfit made out of a bunny carcass. His peers find him out, and to prove he is not a traitor, he slaughters a bunny. This leads to the fox fitting into society and eventual middle-age complaceny. But one last act in this story allows the fox to return to his youthful dreams of fox and bunny harmony. There are a number of other Top Shelf books, past and present, worthy of some praise from The New York Times. So many books, so little space to write reviews. It is a good sign though that the tide continues to turn and at least Top Shelf remains on the radar. Fox Bunny Funny is a wonderful book and, for now, it can stand as a fine representative of the enormous variety of alternative comics.